Simply put, here at Innovative we want to help your business grow – and it’s more important than ever in this digital age to have an online presence that will do your brand justice. You can have the most amazing products or services at your fingertips, but if people can’t find you on the web, you’re stunting your own potential. That’s where we come in. We can help make your products or services come alive on the screen, captivating your target market and turning them into customers. 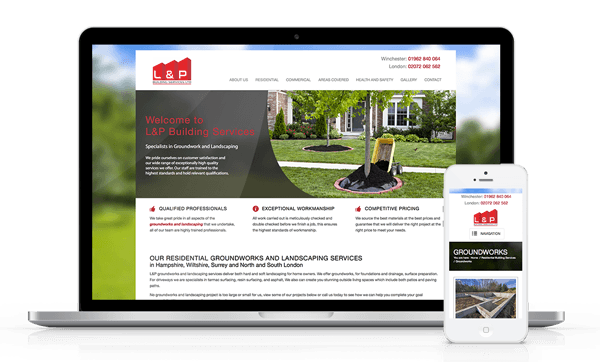 We all know what makes a great website: functionality, aesthetics, a real stand-out design – that comes as standard with our web design packages. 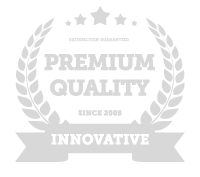 So aside from a five-star website, what can you expect from working with Innovative? Websites are as individual as their owners and the businesses they represent – so in order to create the design that perfectly depicts your ethos, your brand and your business model, we need to get to know the business a little better. We want to hear about your goals, your aspirations, and where you’d like the business to be in two to five years. We’d like to discuss your competitors and your USPs to help identify any niches we can target. We want to understand the problems or unique issues you might face in web design, and what changes you’d like us to make. In creating a profile of you and your business, we can build a picture of the design style that is suitable for you. Once we’ve built up an idea of the type of website you’re aiming for, the planning stage can commence. We’ll research a number of different websites, competitors and market leaders, creating a ‘best of’ list which we can use when wire-framing your site. We’ll outline designs for each page template and advise on new navigational structures where required. At this point in the project you will receive our CMS (Content Management System) recommendation. Around 90% of our projects are built using WordPress – this system is currently used by 23% of the world’s websites, and 60.9% of all the CMS market. We also have a well tested, bespoke CMS built by the team here at Innovative, which is used for unique projects and experimental designs. 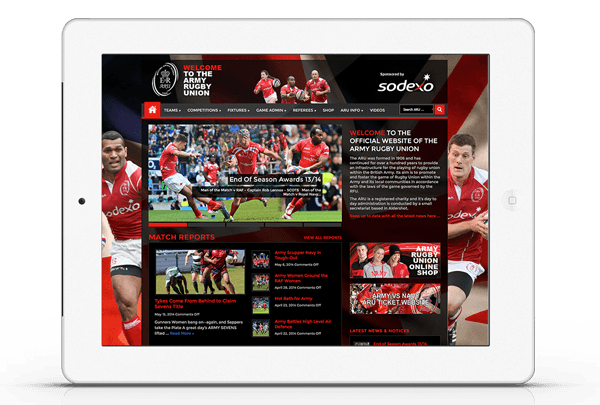 Once you’ve approved all of the background work, we’ll unleash our creative team on your site. They’ll build a visually stunning, appealing and engaging design which fits perfectly with your business values and goals. Our team will also recommended everything from colour schemes and fonts, to illustrations and images – we also offer unlimited design revisions, so you can keep swapping out elements until you’re 100% happy. We’ve worked in the industry for ten years and have honed our skills to an exceptionally high standard – our team often visualise your perfect design first time around, so the process is as painless as possible. When we’ve finalised the design, we’ll pass the project into the hands of our stellar tech team, who will take the visuals and transform them into a WordPress theme, with pixel-perfect precision. All requested features are developed and integrated into the framework, with rigorous testing to ensure they all work in total harmony. We’ll then move onto optimising the design to our responsive framework. This means that the layout of your content is re-organised depending on the device the site is being viewed on – a crucial tool in today’s multi-device environment. Whether the user is sitting at a laptop or viewing the site on a tablet device, the responsive framework will maximise user engagement with the content, as well as your products and your brand. At this point, you’ll be shown the completed framework of your website – voila! If there are any alterations you would like to make, don’t worry as you can request any changes necessary here before we start the next phase. In a world where users can access your site from a multitude of different browsers and platforms, our team will carry out extensive testing, tweaking the code to make sure everything looks as our designers intended. Only once your site fulfils all the criteria we set for it is it ready for your content. As standard, our team will populate the new website with content you have provided to us, either freshly written or from your existing website. However, if you feel it’s time for a little refresher in terms of content, our wordsmiths can conjure up some dynamic new content that will really help sell your products and services. We’ll send you over some copy and once it’s been approved, our team will add it to your site while sourcing the perfect images to reinforce the message. All of the design and coding work carried out up to this point would be rendered pointless without effective SEO (search engine optimisation). Our search engine specialists will optimise your page titles, meta data and body text to ensure they align with your core keywords. Search engines will be able to index the pages correctly, and the relevant text will be displayed to visitors searching those keywords on Google, Bing and other popular search engines. Congratulations – your site is now complete! We’ve built to your specifications from the ground up; now all you have to do is learn how to use it. 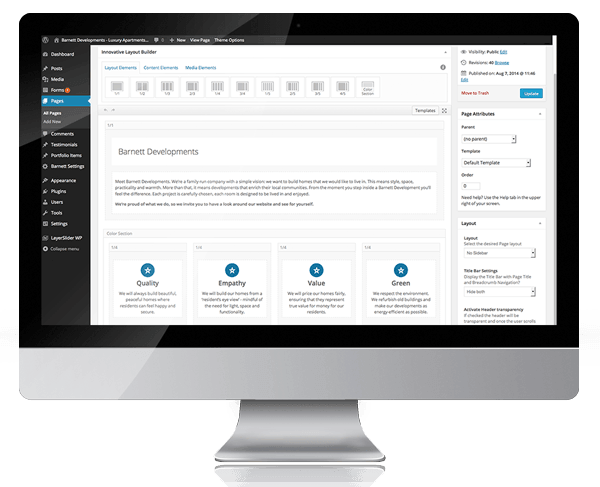 We’ll provide you with full training before the launch to ensure you can find your way around the new site, updating pages and managing your own content. Our team will swap out your old website and launch your new Innovative website on your chosen domain name – it’s now ready for you to show off to the world! We’ll complete our thorough checklist and ensure everything is working as it should be, and we’ll complete the handover to you and your team. All our websites come with a three-month warranty where any issues that may arise are fixed at no cost to you. We’re here to ensure your website works hard to increase your sales and boosts customer engagement, so if you have any queries or new requests, we’re always on hand to help. If you’re interested in working with Innovative to build a functional, beautiful and effective new website for your business, get in touch today! Our friendly team will talk you through your options and set you on the path to online success. Give us a call on 01794 399 800. From our initial meeting it was very apparent that you put your customers as your highest priority and everything you have produced since then has been to our total satisfaction. You are no doubt backed by a highly talented team with a wealth of experience in web design.